Every branch of law has its own share of land mark judgments. They are important mile stones in the evolution of law. Teachers teach them with emphasis and students study them earnestly. The study of law of tort is thus incomplete without reading Donogue V. Stevenson. Similarly, Constitutional law cannot be taught excluding Marbury v. Madison. Students of Contract law cannot ignore Carllil v. Carbolic Smoke Ball Co. and Company law demands deep acquaintance with Salomon v. A. Salomon & Co. They are cases which are to be chewed, eaten and digested at the law school. Maritime law too has its own fair share of land marks to offer. The House of Lords decision in MV Indian Grace is one among them. Whatever cult status these legal land marks may have had at the law school, they are soon forgotten when we are out of the law school. The name of the case may still ring a bell, but the specifics may no longer be retained. Practice as a lawyer throws up other important legal norms of contemporary relevance to be remembered and the earlier land marks gradually fade from memory. They have only ‘academic relevance’ now. Further as most of these land marks are antiques from by gone times, they are seldom cited as authority of value since much water might have flown thereafter. At the best, a passing reference may be made to them in a case of comparable facts or legal issues. That too only before a so called ‘academically inclined judge’, whose creed is fast vanishing. Never in our wildest dreams do we expect to be part of the said land mark judgments or to get an opportunity to argue them out afresh. Who would expect to get to argue Donoghue V. Stevenson in the court room all over again as a lawyer for one of the parties to the dispute. We presume, and rightly so that the ginger beer consumed by Mrs. Donoghue would have long been digested with or without the snail and the smoke balls that Mrs Louisa Elizabeth Carlill had purchased to cure her aliment of flu would not survive beyond the date of the judgment in Carlill v. Carbolic Smoke Ball Co. Similarly, while at law school I had like all my class mates expected that MV Indian Grace would have completed her voyage long back and all legal issues involving her cargo of shells and cartridges would have been laid to rest with the House of Lords decision. We presumed that the shells and cartridges carried on board MV Indian Grace for use in the Bofors howitzer guns acquired by Indian armed forces would all have been expended on our enemies at the borders. Dr. 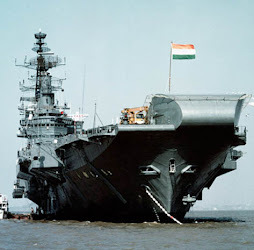 A.M. Varkey our professor at Law school had made each of us read through the MV Indian Grace decision over and over again to impress upon the nuances of admiralty jurisdiction and the vexing issues concerning in rem and in personam actions involved therein. Like the rest, I expected MV Indian Grace to be relevant only for what is contained in the House of Lords decision. I was utterly wrong in presuming so. By some strange twist of fate, after enrolling as a lawyer I had to be party to the final legal voyage of MV Indian Grace and was called upon to defend her based on those very same issues and facts about her and her cargo which I had learned by heart at the law school. It all started one day with a dusty and shabby case bundle which I saw resting on my table upon my return from the court. I had just shifted my practice to Kochi and had joined the law firm Southern Law Chambers. I had had a prior stint as a junior to the legendary maritime lawyer S. Venkiteswaran in the Admiralty Court of Bombay. After my return I had just started attending the firm’s work and the bundle had been placed on my table at the instructions of the Senior Partner. It carried a note that I shall study the file and be prepared to argue the case as and when it comes up for hearing. It was clear that the green horn from Bombay with a Masters degree in Maritime law and bearing the tag of being the junior to the best maritime lawyer in India was being put to test. I carried the file home for study and slept over. Early morning next day, I proceeded to open it up and the contents revealed a suit filed by Government of India to recover some amounts from a company by the name M/s. India Steam Ship Company purportedly towards damages for the alleged short landing of some military equipment. 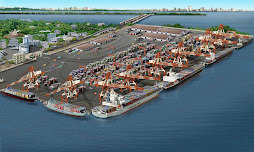 The suit had been decreed and the defendant shipping company had come up in appeal before the High Court of Kerala challenging the judgment and decree of the Subordinate Judge, Cochin. The plaint disclosed the name of the vessel in which the cargo was carried and owned by the defendant M/s. India Steam Ship Company as MV Indian Grace. The initial feeling that possessed me on reading the name MV Indian Grace was more that of a cheeky little surprise. 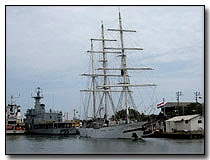 What kind of coincidence could it be that there is another vessel bearing the same name as the legendary Indian Grace. I proceeded find out by reading through the dusty and worn out bunch of documents in the bundle. There was nothing in them connecting it to the House of Lords decision in the classic English case of MV Indian Grace. It spoke nothing about action in rem or action in personam and it related only to a simple suit for damages filed in the Subordinate judge’s court of Cochin. So this could never possibly be the same ship MV Indian Grace about which every student of maritime law across the world is taught. Later that day, I consulted my colleagues at the firm and asked them about the dirty bundle. All that they knew about it was that it is an old file that had been lying there since years and that the every time the matter came up for hearing, it was being adjourned by the Government Pleader. None of them knew about MV Indian Grace and the strange similarity that the subject vessel in the file bore to the land mark decision. So the bundle in my hand was the appeal from the judgment of the Subordinate Judge’s court Cochin, which had been relied on by the House of Lords to strike off the English action. Issues in MV Indian Grace were thus still alive and kicking. The thrill that I experienced cannot be described in words. Here I had that once in a life time opportunity of pursuing further a case of classic genre. I set to task at once. I rushed to the only place in the entire State which then had the Lloyd’s Law Reports, the most authoritative law reports on shipping cases from across the common law world, viz., the library of old High Court of Kerala at the Ram Mohan Palace. I knew from my daily visits, the exact place where the Lloyd’s Law Reports were stacked. No one came to that part of the library and the Lloyd’s Law Reports starting from 1918 to date remained neatly stacked in undisturbed slumber since ages. The book rack had by its side a window and one could stack books on its side, sit next to it and read. There was no electric fan over head but the gentle breeze that comes in once in a while through the window made reading there a pleasurable experience. For weeks, I spent all my afternoons perched on that window reading through the reports, ofcourse starting with the House Lords decision in Indian Grace. The appeal to be argued before the High Court of Kerala though arising out of same facts was different from the legal issues considered by the House of Lords. Factual aspects as brought out during trial at Cochin assumed more relevance in the appeal. Comparing and confirming the factual observations in the judgment of the House Lords with the documents available in my bundle became by favourite enjoyment. The fire on board and the valiant efforts by the Master to put off the fire risking his life were all revealed from the documents. That the fire was not due to the actual fault or privity of the carrier and that the carrier was entitled to rely on the exception in the bill of lading was very evident. The decision of the House Lords in MV Indian Grace had deeply affected the features of the in rem action till then exercised by English Courts. It was so important a land mark that, authors identified the different phases of legal growth by terming them as period before MV Indian Grace and after MV Indian Grace. Higher courts across the Common law world took note and relied on the decision in MV Indian Grace. Acknowledged experts on Maritime Law like A.M. Sheppard opined in their treatises that the decision was capable of drastically affecting some features of the action in rem followed in England till then. Since the House of Lords had relied on the Judgment of the Subordinate Judges Court Cochin in striking off the English action, the correctness of the said Judgment of the Sub court to be considered by the Kerala High Court in the appeal assumed relevance. To my excitement the appeal was finally posted for consideration before a division Bench of the High Court of Kerala. After a fair share of adjournments from the part of the Government, the matter was taken up for final hearing and disposal. The senior presiding Judge being a former Civil Lawyer of standing and repute picked up the relevant facts deftly. The appeal was heard for days together. After noons were specifically set apart for exclusive hearing of the appeal. Carriers liability and intricacies of the term “actual fault and privity of the carrier” were considered by the Judges in detail. Scores of reports on the point from Lloyds Law Reports were placed before the bench by both sides. The response from the Bench was encouraging. It appeared that the Bench was convinced about the protections that the carrier and the vessel are entitled to under law. An important Judgment as a sequel to that of the House of Lords was in the immediate offing. But before the Judgment could be rendered, to my dismay, the appeal was transferred to another Division Bench. We were back to square one. The presiding Judge here was a seasoned lawyer well aware of commercial legal practise. The Bench echoed the views of the earlier bench. Hearing went on for days. It would start off with a quip by the Judge, “Lets sail with Indian Grace.” Both sides argued in detail. Senior lawyer in the rank of Assistant Solicitor General of India appeared and argued for the Government. The Judge gave a peek of his mind by opining that the precedents and facts called for interference with the judgment of the sub-court. After days of lengthy hearing the new Division Bench proceeded to reserve the matter of dictation. We eagerly awaited a judgment capable of reporting across the maritime world from Kerala High Court, one that would be taken note of by English Lawyers and maritime experts. But MV Indian Grace was not destined to have a smooth legal journey. Before the date on which the judgment was to be delivered, the case was posted before the Bench by a process called ‘to be spoken to’. It was submitted on behalf of the Government of India that an amendment is proposed to be moved to hike the claim amount which at present was only for the short landed cargo. The Attorney General of India had in view of the failure of the English action, apparently suggested claiming a constructive total loss of the entire cargo and thus to enhance the claim amount from few lakhs to crores of Rupees. The rendering of judgment was thus sought to be adjourned to facilitate the filing of the amendment petition and the same was allowed. I had no reason to feel alarmed as the earlier two division Benches had been convinced of the case and was eager to render a detailed judgment touching upon all aspects of the case. Within a week the appeal came up before another division bench. The suggested amendment had not yet been carried and instead of seeking time for pursuing the same, the Government pressed for urgent hearing before the new bench. The hearing of MV Indian Grace thus commenced before the third division bench. Suffice to say that the Bench wound up the hearing within twenty five minutes and proceeded to deliver judgment dismissing the appeal. Winning the appeal though was a prime objective was not the sole objective. All through the hearing the single minded and earnest desire was that the judgment from the High Court of Kerala based on the detailed arguments placed by both sides touching on importance question of maritime law and carriage of goods by sea would lead to a judgment that will be a befitting sequel to the decision of the House of Lords in MV Indian Grace. The judgment that was finally rendered ran to less than four pages and carried a sentence to the effect that though numerous foreign decisions were placed before the Bench the same are not felt relevant to be discussed. Thus ended the long journey of MV Indian Grace. I returned to office carrying the bundle which had now become huge with numerous copies of decisions from Lloyds reports. I was visited by my senior partner with a comforting smile. He shared with me the wisest advice which I treasure all through the rest of my career. First one was “Never identify personally with the subject matter of your case however interesting it may be.” This was followed by a very practical advise which went like this. “When a case that had been heard at length by a Bench and is expected to be decided in your favour is sought to be adjourned by the opposite side, pray to the court that the same may be noted on file as PART HEARD.” This would have ensured that the matter would again come up only before the same Bench! I realised that my theoretical knowledge of maritime law and my rummaging through volumes of Lloyds Law reports are no substitute to practical lawyering skills which can be acquired only through years of patient dedicated practise. Let me leave you with a sequel to this story. Around ten years after the above experience, at a private function I ran into the same Judge who had heard the MV Indian Grace appeal on its second round. He had since retired and to my surprise very well remembered the quip of sailing with Indian Grace. He told me that he had already dictated a detailed Judgment allowing the appeal filed by MV Indian Grace and same was not typed out and issued since the matter got adjourned. Some historians believe ‘Kochi’ was named so by the Chinese. Traders from the court of the Chinese ruler Kublai Khan, gave Kochi the name of their homeland. The peculiar Chinese fishing nets found here, the only place outside China where it has been spotted. 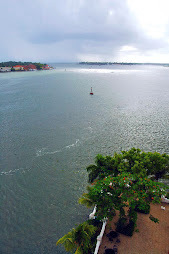 Still another theory is that Kochi is derived from the word 'Kaci' meaning 'harbour'. Kochi earned a significant position on the world trading routes after the world famous port at Muzuris (Cranganore) was destroyed by massive flooding of the river Periyar in 1340 AD. Records show that Muzuris (Cranganore) was known to the Arabs and Chinese traders for centuries. 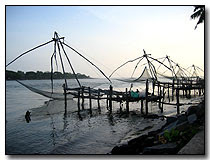 After the Muzuris port was destroyed, the forces of nature created a natural harbour at the nearby city - Kochi. 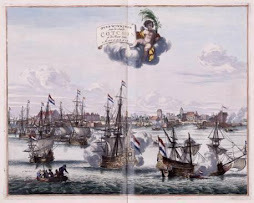 The Arabs, Chinese, Portuguese, Dutch, and the British helped Kochi emerge as a bustling centre of commercial activity, connecting the mainland to the rest of the world. 'Cotchin' as the Early European Travellers saw it. 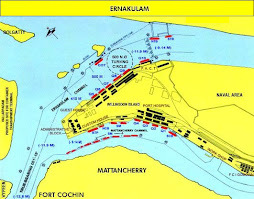 Kochi is the HQ of Southern Naval Command of Indian Navy. 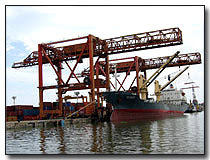 Kerala High Court has Admiralty Jurisdiction to Arrest Vessels. Constructed according to specifications taken from the Sthapathya Veda, an ancient treatise for the building of wooden boats. These boats are about 100 to 138 ft in length, with the rear portion towering to a height of about 20 ft. and a long tapering front portion. It resembles a snake with its hood raised. Its hull is built of planks precisely 83 feet in length and six inches wide. Indira Gandhi Boat Race is a boat race festival celebrated in the last week of December in the backwaters of Kochi, a town in Kerala, south India. This boat race is one of the most popular vallam Kali (snake boat race) in Kerala. Interior of Jewish Synagogue at Fort Cochin-Jews came to Kerala and settled as early as 586 BC for trade. Legend has it that Jews of Cochin came in mass to Cranganore (an ancient port, near Cochin) after the destruction of the Temple in 70 C.E. A chieftain by the name of Joseph Rabban, according to local tradition, was granted a principality over the Jews of Cochin by the Chera Emperor of Kerala, Bhaskara Ravivarman II. Some sources say that the earliest Jews were those who settled in the Malabar coast during the times of King Solomon of Israel.During the second exile (586 BC) some of the Jews came and settled in Kerala. They were known as Bene Israel. Most of them have returned to Israel by twentieth century. Cheraman Juma Masjid is a mosque in Kodungallur near Cochin. Believed to be built in 629 AD by Malik Ibn Dinar, it is considered as the oldest mosque in India, and the second oldest mosque in the world to offer Jumu'ah prayers. Constructed during the lifetime of Prophet Muhammad, the bodies of some of his original followers are said to be buried here. 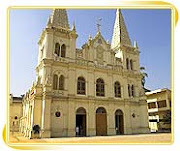 The Santa Cruz Basilica, a church in Kochi, Kerala built originally by the Portuguese in 1505 and elevated to a Cathedral by Pope Paul IV in 1558, was spared by the Dutch conquerors who destroyed many Catholic buildings. Later the British demolished the structure and Bishop Dom Gomez Vereira commissioned a new building in 1887. Consecrated in 1905, Santa Cruz was proclaimed a Basilica by the Pope John Paul II in 1984. This magnificent church is a must see destination for tourists who come to Kochi. While Augustus Caesar (31 BC- 14 AD) was the Emperor of Rome and Herod the Great (37-4 BC) was King of Judea, ambassadors from Malabar visited the Emperor Augustus. These ambassadors were called The Wise Men From the East in the Bible. Even today, the descendants of these Wise Men gather every year at a place in Kerala. 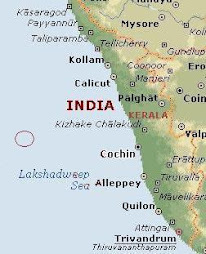 It was to this country Kerala, Thomas the Apostle, one of the disciples of Jesus Christ arrived in the first century, (believed to be in 52 AD). He landed at Muziris (now known as Pattanam, near Cochin on the Malabar Coast). During his stay some among the Jews and the Wise Men became followers of Jesus of Nazareth. They were called Nazranis, meaning “followers of Jesus of Nazareth.” By twenty-first century they called themselves as Christians. A Hindu Temple near Cochin.-Hinduism is often stated to be the "oldest religious tradition" or "oldest living major tradition." Hinduism is a diverse system of thought with beliefs spanning monotheism, polytheism, panentheism, pantheism, monism, and atheism. It is formed of diverse traditions and types and has no single founder. Hinduism is the world's third largest religion after Christianity and Islam, with approximately a billion adherents, of whom about 905 million live in India. Kerala is home to Hindu saints and swamis of all castes.